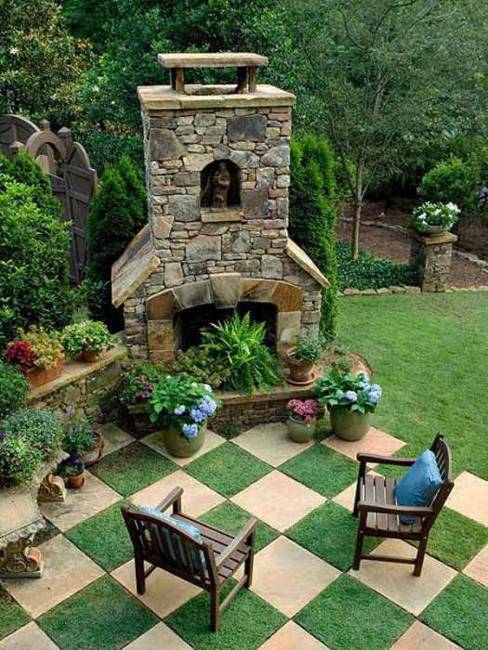 Yard landscaping and garden design are creative art projects. 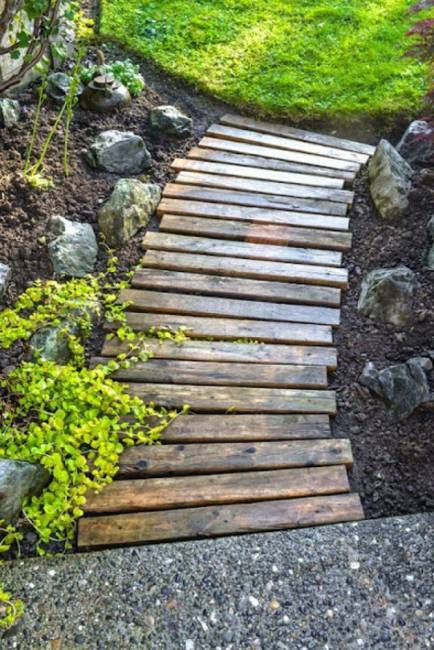 Creating beautiful garden path ideas and walkways require skills, a sense of style and patience. Attractive and interesting garden paths and walkways create comfortable and pleasant environment and a fine setting for enjoying outdoors. 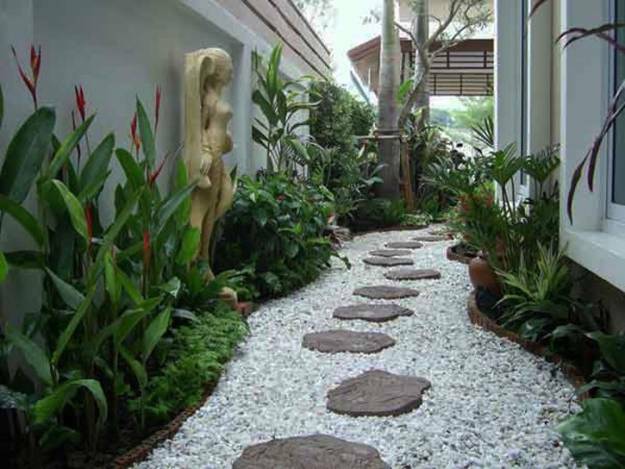 Lushome collection of interesting and creative garden path design ideas provides great inspirations for improving yard landscaping and garden design while recycling and using natural materials for beautifying outdoor living spaces. 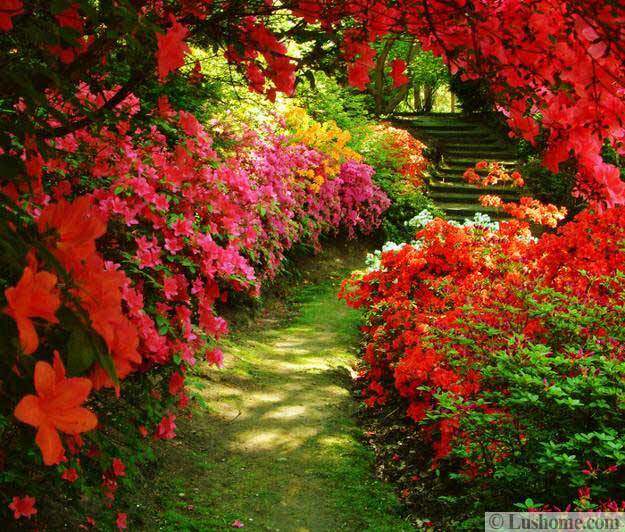 A garden path is very important port of garden design and yard landscaping. 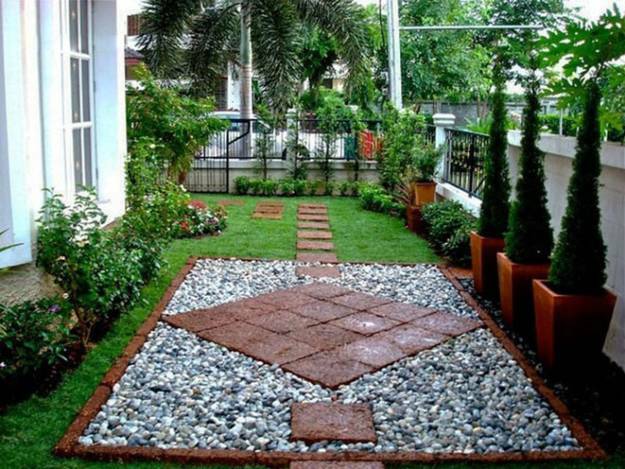 A clear picture of the entire space with trees, shrubs, flower beds and walkways before starting any landscaping project helps to achieve an excellent result. Yard landscaping and garden design may emphasize formal or informal styles of outdoor living spaces. Garden paths and walkways can follow along formal lines or create interesting accents that add asymmetrical and curvy details to yard landscaping. Using new materials and straight lines create perfect garden paths for formal outdoor living spaces. 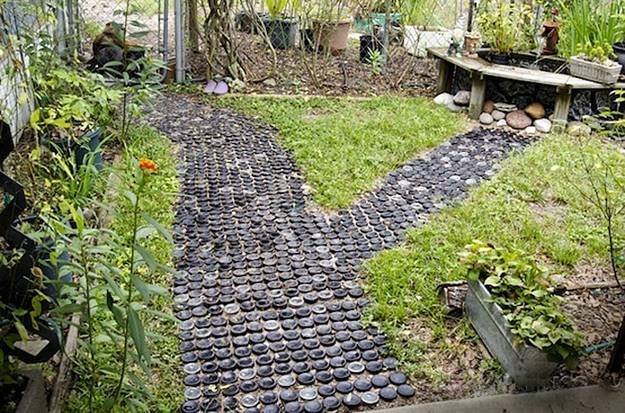 Recycling natural materials in creative ways allow to design informal, unusual and interesting garden paths and walkways. 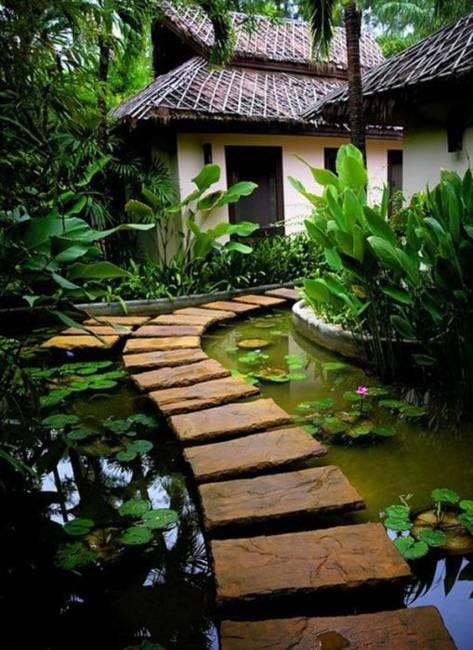 Beautiful soft curves and straight lines of garden paths and walkways can be created with different materials, from river pebbles, landscaping rocks and gravel to salvaged wood pieces, empty glass bottles and concrete blocks. 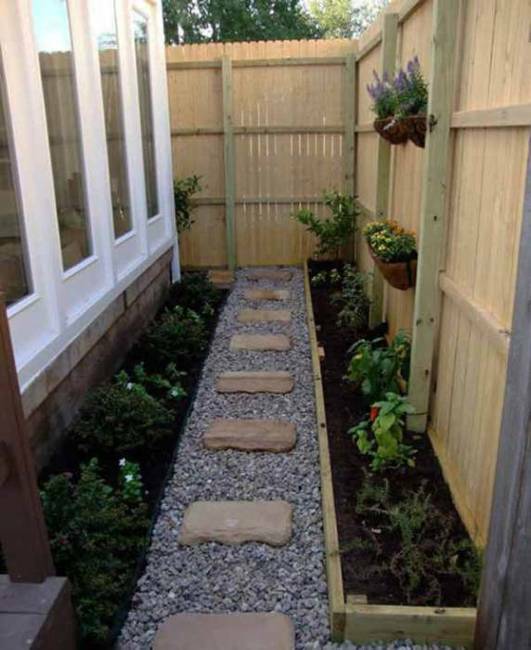 Garden paths can include stepping stones and areas covered with small rocks or grass. 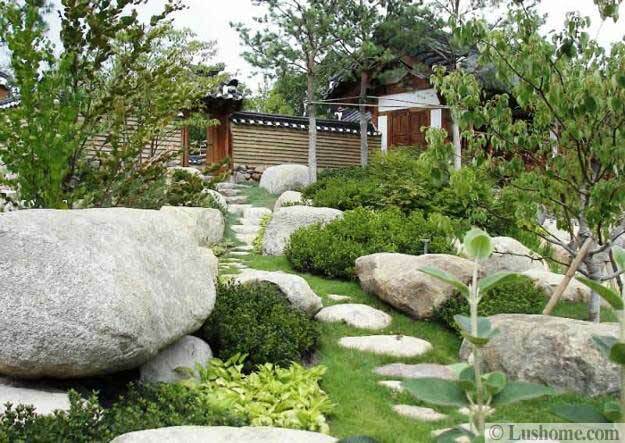 Natural stone and grass paths look charming, adding a romantic look to garden designs. Small garden designs look especially attractive with grass paths. 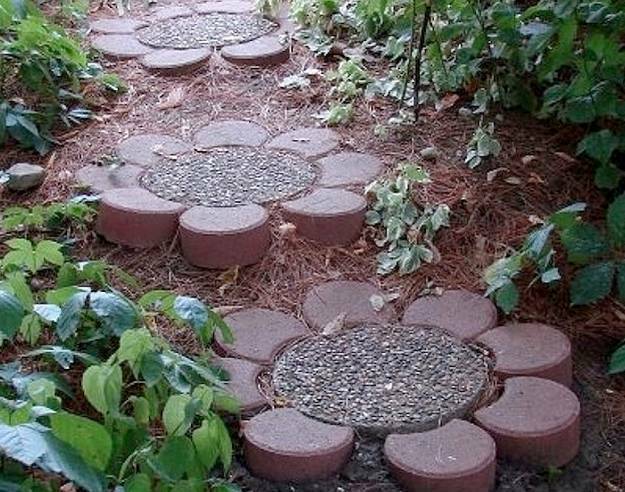 A gravel path makes a fine appearance, but small rocks and river pebbles make garden path design look even more elegant and beautiful. 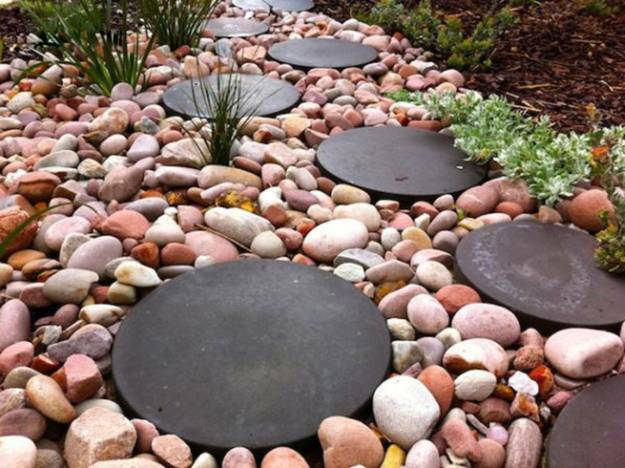 Stepping stones, plain or decorated with various designs, suite informal garden designs also. 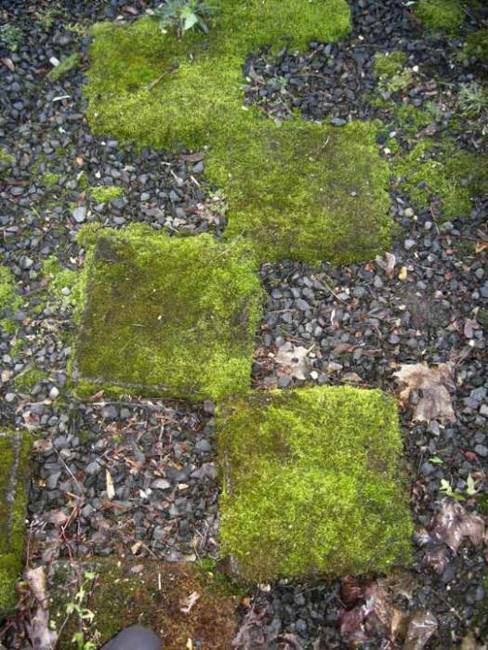 Blended with small rocks, gravel or grass, they create very attractive and comfortable garden paths and walkways. 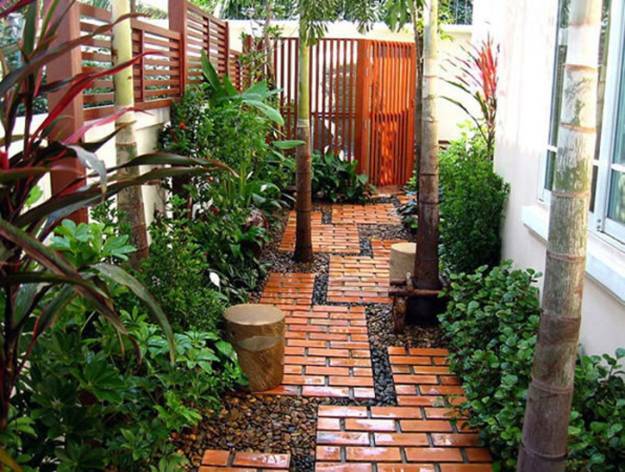 Yard landscaping and garden design with paths and walkways are limited only by your imagination and budget. 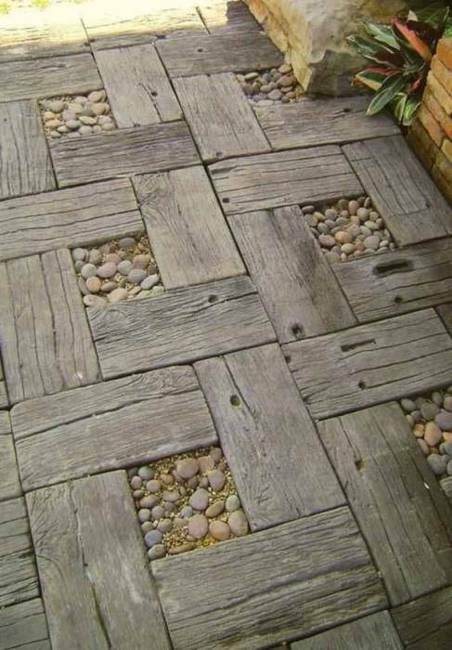 There are so many interesting garden path design ideas that reuse and recycle salvaged wood pieces, bricks, empty glass bottles and concrete pavers. Trees, shrubs and flower beds, wind chimes, living sculptures and outdoor furniture create fabulous yard landscaping and garden designs with attractive, creative and comfortable walkways and garden paths. 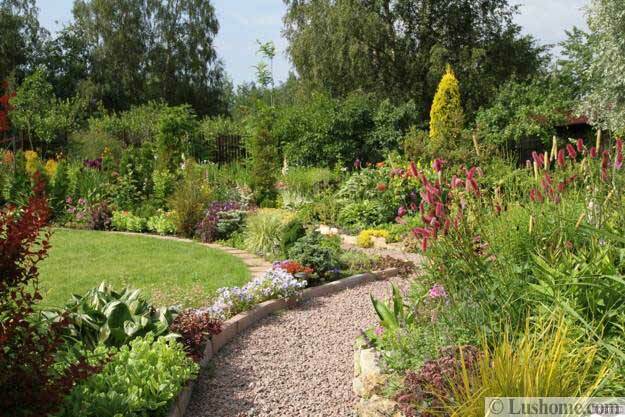 Beautiful and original garden path design ideas bring charm and joy into gardens and personalize yard landscaping designs with inviting details, attractive materials, textures and eye-catching shapes.